The 21st century will come to be known as the age of photonics, as we exploit our ability to make and manipulate light as an amazing carrier of energy and information. From quantum computing and entanglement to eye surgery and solar energy, humans are already reaping the benefits of our own endeavours to understand and control light. 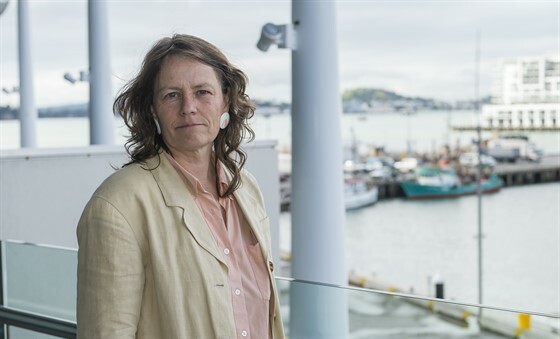 In her public lecture, Cather Simpson from the University of Auckland will highlight her research in exploring how recent advances in the physics of light are transforming our ability to feed the planet safely and sustainably. Cather Simpson moved from Case Western Reserve University in the USA to the University of Auckland’s Physics and Chemistry Departments in 2007. There, she started the Photon Factory, a laser centre whose mission is to exploit exotic, ultrashort pulsed lasers to enable cross-disciplinary research from the very fundamental to the applied and entrepreneurial. Simpson’s research explores the interaction of light with matter, particularly how materials can convert light into more useful forms of energy. A relatively recent area of focus is in agriculture, where her work has led to two international award-winning spinout companies. Her recent accolades include a NZ Teaching Excellence award and the 2016 Silicon Valley Forum 1st-place AgTech medal. She was named Baldwins Researcher Entrepreneur and BNZ Supreme winner at the 2016 KiwiNet awards, and is a NZ Primary Industries Champion and a Fellow of the Royal Society of New Zealand Te Aparangi. RESERVATIONS ARE required for food service in the Black Hole Bistro and can be made at bistro@pitp.ca. Dinner reservations will be scheduled between 5:00 pm - 6:00 pm for those with tickets and later for those watching the lecture in the Bistro. There will be a waiting line for last minute cancelled (or ‘no show’) seats on the night of the lecture. Doors open at 5:30 pm. Come to Perimeter and pick-up a waiting line chit at the Waiting Line sign and then participate in pre-lecture activities - no need to wait in line. An announcement will be made in the Bistro at 6:45 pm if theatre seats are available. Note: you must arrive in person to be part of the waiting line and be in the Bistro when the waiting line announcement is made. Everyone who comes to Perimeter will be able to participate in the lecture. The public lecture will be shown simultaneously on closed circuit television in the quiet of the Time Room or the licensed comfort of the Black Hole Bistro for any members of the waiting line who are not able to get a theatre seat.